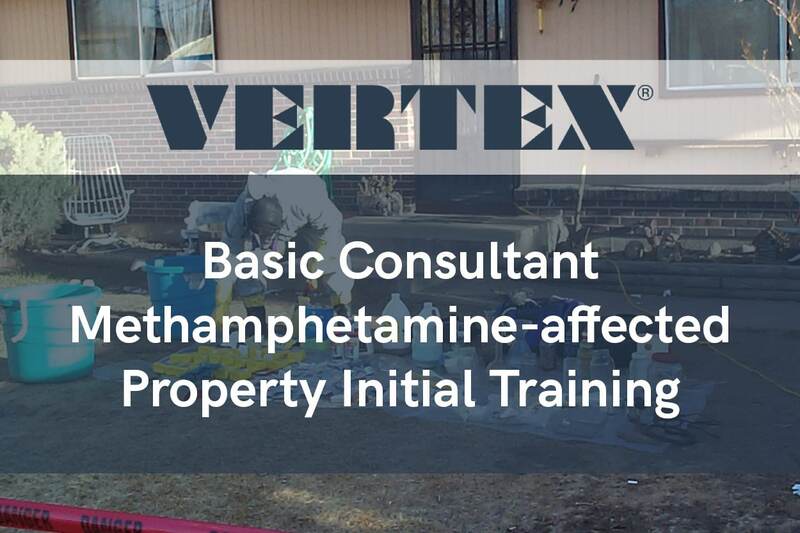 VERTEX’s Thomas Koch, CIH, MEPM, Vice President of Industrial Hygiene/EHS Services will be leading a 3-Day Basic Consultant Methamphetamine-affected Property Initial Training on November 27th to 29th, 2018 in our Denver office. Thomas Koch has a dynamic background in the fields of Industrial Hygiene and Environmental Health & Safety, having been employed over 25 years in industry and private practice. Mr. Koch is a Certified Industrial Hygienist with a Master’s Degree in Environmental Policy and Management. Prior to joining VERTEX, Mr. Koch was President of Koch Environmental Health, Inc., specializing in the comprehensive fields of Industrial Hygiene and Environmental Safety and Health. Mr. Koch is also an adjunct Professor at the University of Denver teaching in the Environmental Policy and Management Master Degree program curriculum, with a specialty in Environmental Safety and Health. Master’s level courses taught by Mr. Koch include OSHA Law, Workplace Safety Management, and Environmental Safety and Health. Mr. Koch has been providing industrial hygiene/EHS consulting services to business, government, and private industry for over 25 years. Mr. Koch provides expertise in comprehensive industrial hygiene, regulatory compliance including OSHA and EPA program compliance, HAZWOPER program implementation, asbestos, hazardous waste, EHS training programs, and construction safety. Mr. Koch is experienced in development and implementation of site-specific Health and Safety Programs (HASPs) for large- and small-scale operations, including government and military institutions. As an expert, Mr. Koch has provided deposition testimony and written defense response reports. In addition, he has experience serving as an expert for mold/moisture, asbestos and methamphetamine-affected properties. 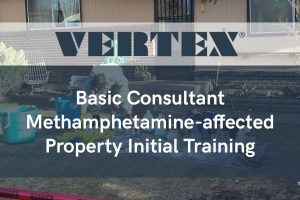 *All persons who are performing assessment, decontamination or sampling of methamphetamine-affected properties in the State of Colorado, in accordance with 6 CCR 1014-3 must be certified. Certification is required under 6 CCR 1014-3, Part 2 and is valid for 2 years.